Donning black dresses and matching sashes the Asheville Symphonettes always greet symphony concert attendees with a program book and a smile. The Asheville Symphonettes is a high school girls’ service club that has been serving the Asheville Symphony since 2011. 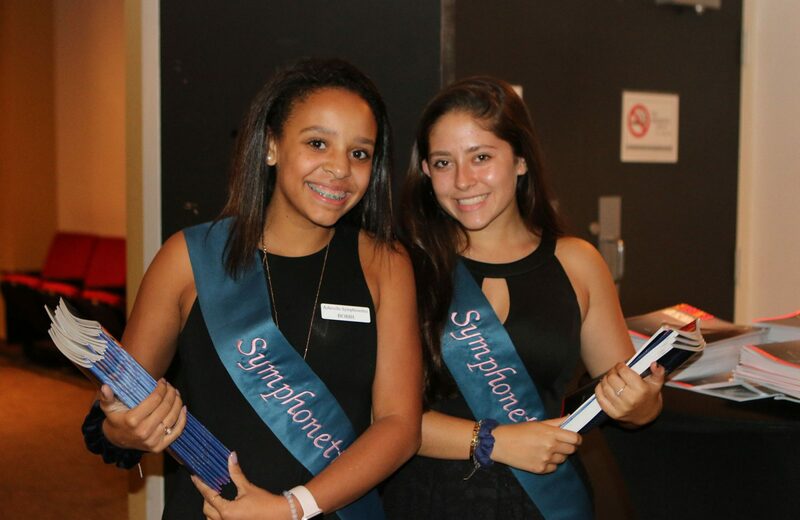 Exposing high-schoolers to live symphony concerts creates a lifelong love and appreciation of classical music, and Symphonettes experience this while forging lifelong friendships and bettering their community. The highlight of each Symphonettes season is the annual spring fashion show. 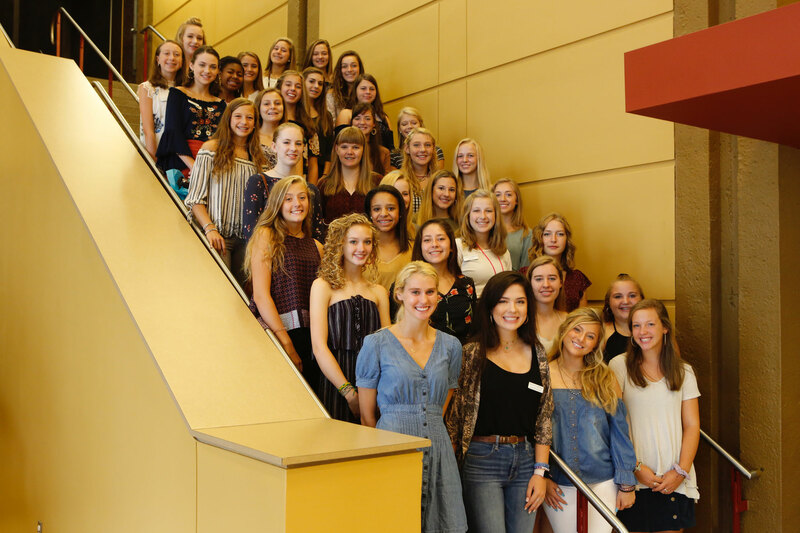 This season, Senior and Junior Symphonettes will walk the runway at Celine and Company on Broadway on March 22, 2019 and all proceeds will go to the Asheville Symphony. The Symphonettes also have a November 5, 2018 “lock-in” where they will make phone calls and collect donations. Each spring the Symphonettes sell raffle tickets to win a Vespa S-50. The Asheville Symphonettes serve the Buncombe County music community in a multitude of ways. All Symphonettes participate as volunteers in MusicWorks, a K-3 music outreach program at Hall Fletcher Elementary. There, Symphonettes help students with homework and assist music instructors. The Symphonettes dedicate their time to serving the Asheville Symphony and look forward to many seasons to come. For membership and funding inquiries please contact our 2018-2019 sponsor Wendy Chiappini at wendy.chiappini@att.net.